Diving into the lives of "everyday" people and their real life experiences. Learn from their challenges, goals, failures, ability to overcome obstacles and how they grind through life and carve their own path. This podcast is not all about martial arts, even though we will speak with many Black Belts, it is however designed use the martial arts journey as a parallel comparison with life’s journey. Black Belts don’t know everything. They still have to fail, learn, grow and constantly set new goals. Each new beginning and goal is like putting your white belt back on. The same is true for life. You start something new not knowing anything (white belt) and you slowly gain skills and experience belt by belt until you have a solid foundation (Black Belt). Like life however, the journey continues. This is my chance to highlight the many amazing people in life that are out there killing it and living their life as a black belt. I hope their stories insprire you as much as they do me. If you enjoy the show please share with your family and friends and please don’t forget to leave us a 5 star rating in iTunes or wherever you listen to podcasts. 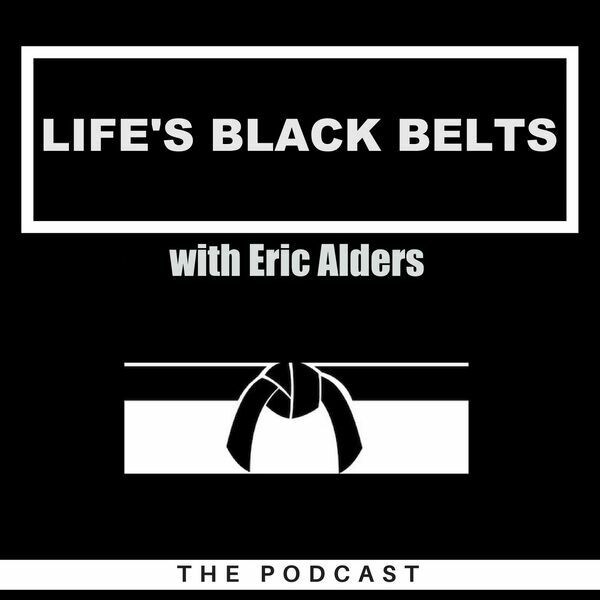 Email us at LifesBlackBelts@gmail.com - Listen on iTunes, Spotify, Google Play, TuneIN Radio, Stitcher, iHeart Radio, Radio Public and on your Echo/Alexa device say "Alexa, ask AnyPod to play Life's Black Belt's Podcast." Watch interviews on You Tube.